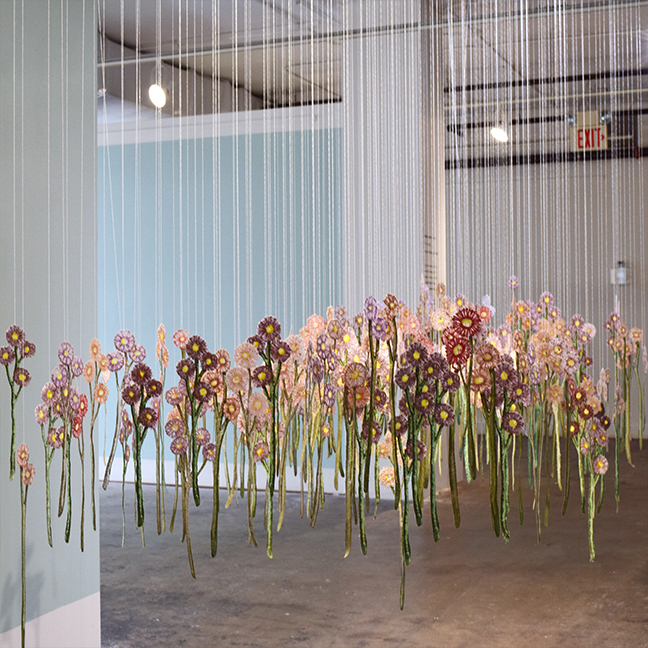 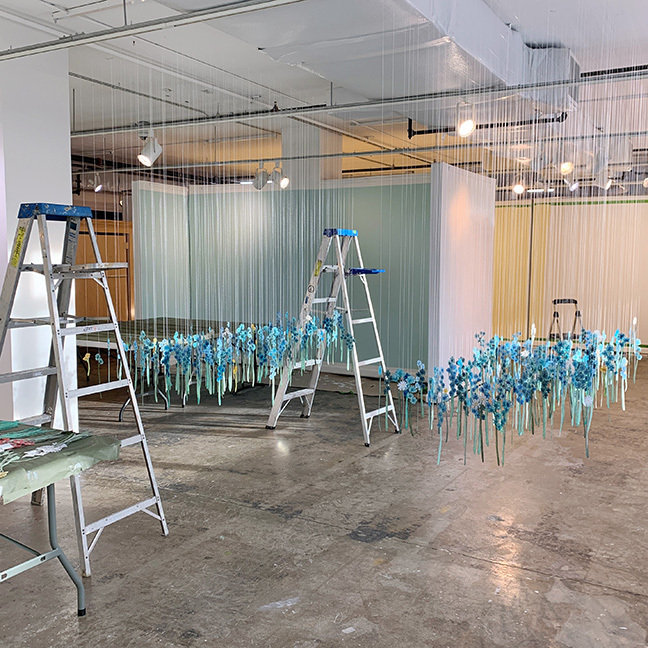 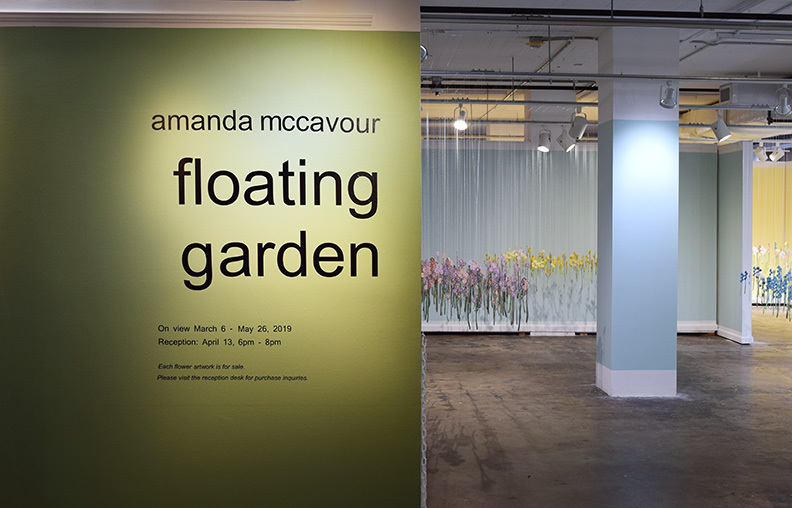 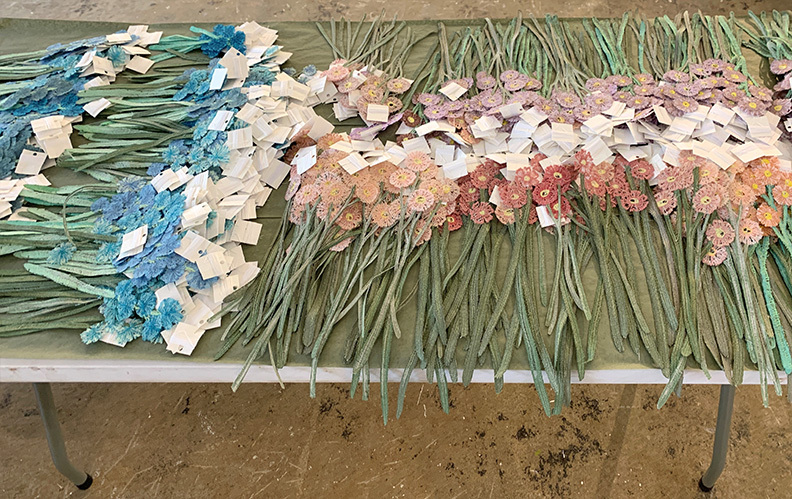 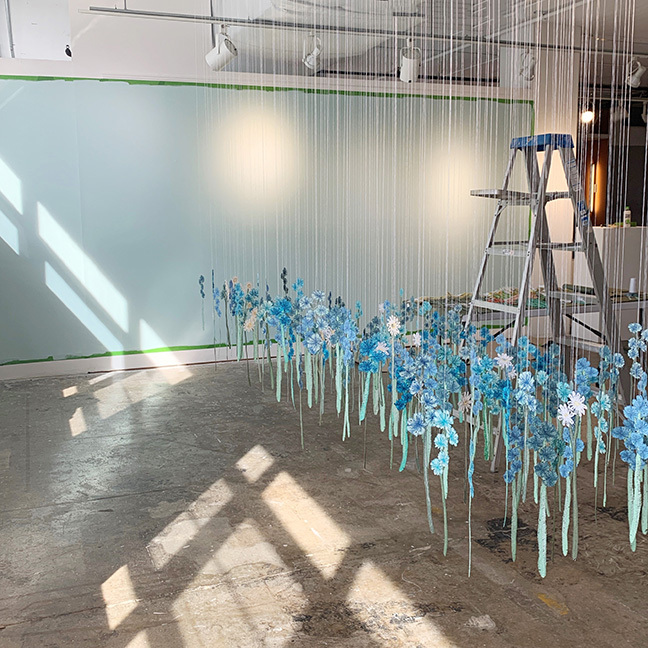 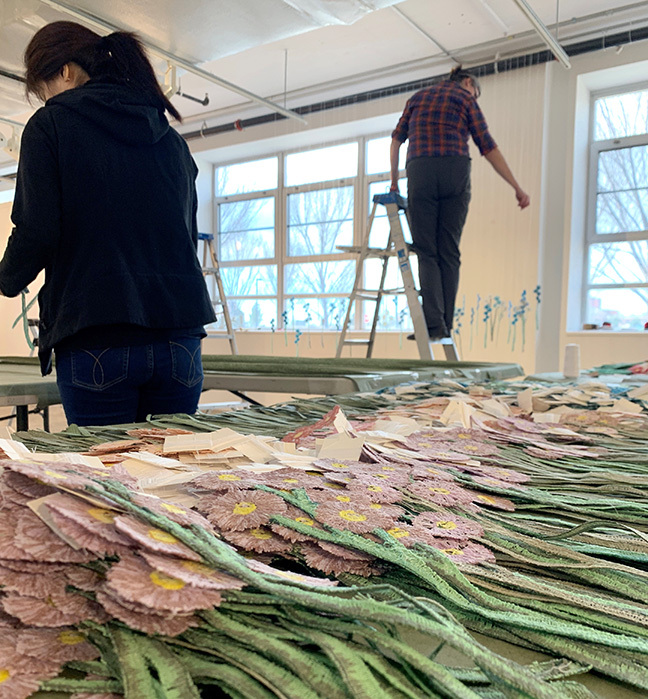 Here are some images from the installation and opening of “Floating Garden” at the Workhouse Arts Center in Lorton, VA.
Toronto Based Artist Amanda McCavour creates experiential, immersive environments that represent places in her memory. 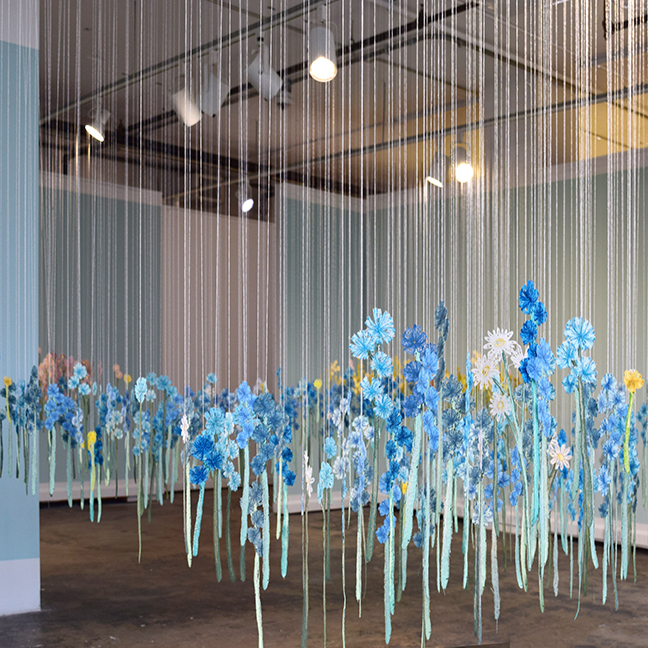 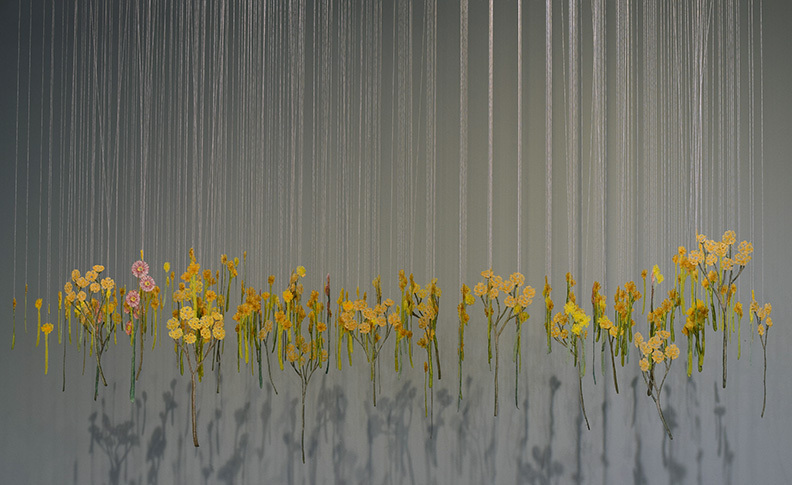 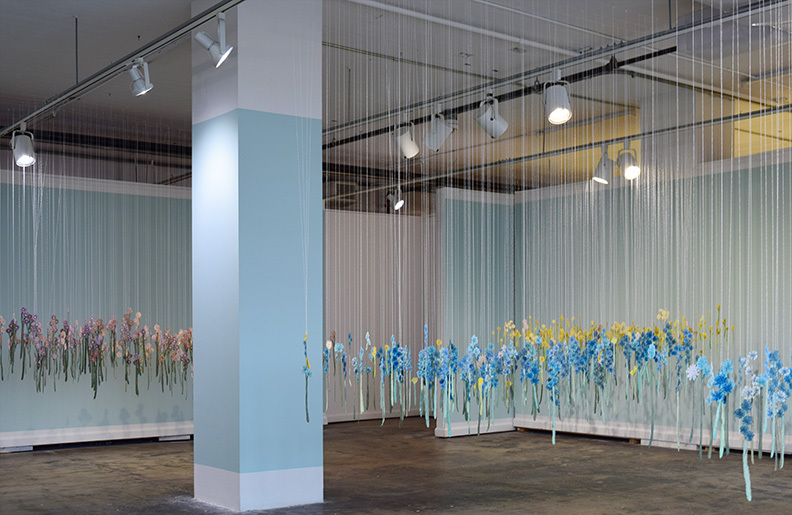 Her three dimensional, embroidered art installations are made up of delicate fabric designs that float within the space. 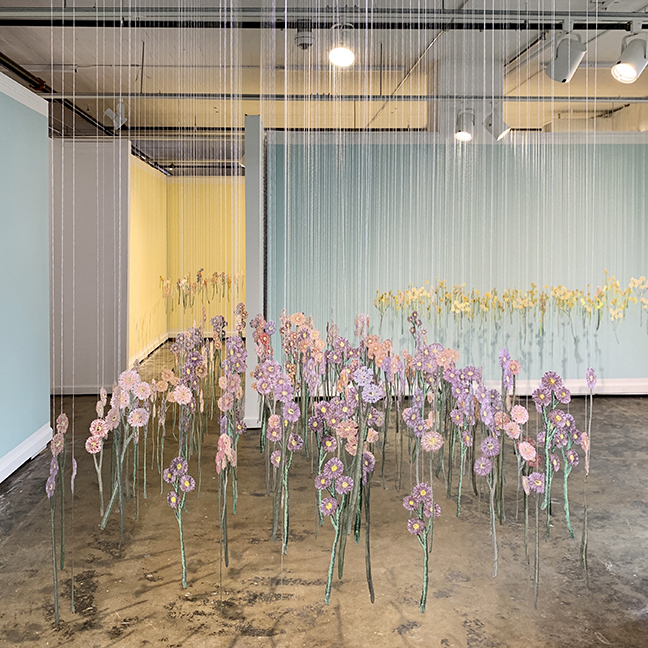 Motifs included in her works are flowers, birds, plants and replications of living room furniture. 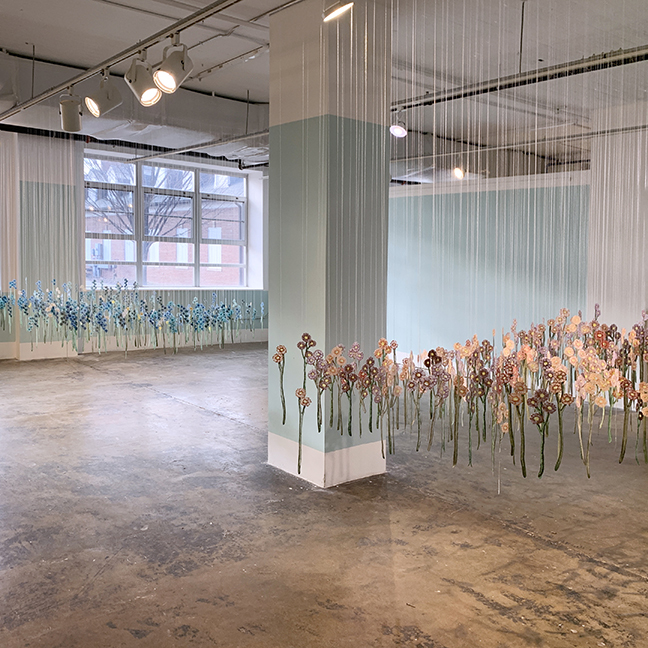 Exploring a connection to home and the body, McCavour is interested in the vulnerability of the thread in comparison with the connection between temporary spaces in memory.